Great hosts. 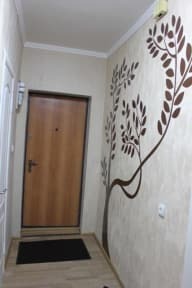 I have spent a couple night in other facy and structured hostels in Almaty, but none of them were able to provide the sense of home and confort that this small family run business enabled. It sits in a great location and has everything a traveller needs. Amazing hostel and a great location. Rhaikan makes sure that you feel at ease and gives you a like feeling. Would definitely stay here again if visiting Almaty again. Interacting with travellers was a great tool to develop and grow my knowledge about the region. Further, whilst I was there the managers organised a hostel 'family dinner' and a concert, coupled with their knowledge of the city they made the hostel a welcoming place - so welcoming that I stayed for over a week! Great location within walking distance to bazaar/baths/walking street/shops with lots of restaurants nearby. Very kind and helpful staff (slight language barrier but it is not a problem) who got me taxis to the airport and into the mountains and helped me plan my days trips. Everyone is very informal and it feels like you are a guest in their home. It is a little loud at night, since the place is small. Overall great place! 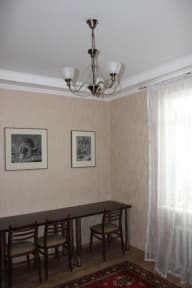 The hostel is managed by Kazakh people, who speak English well and take care of guests politely. Location is a little bit tricky to reach, next to parking area along the Shevchenko street. Value for money, useful access to local food resutraunts and ssupermarkets. I would like to challenge only one thing, that is the shower room. When I stayed in the hostel, the sliding door of shower room was half detached to cause water leak. And sometimes it took long time to get hot water. Generally nice. I had a pleasant stayed at this hostel and feel like home. Location wise is really good. Would definitely stay here again if ever I'm going to Almaty next time. The hostel has an ok location, but inside it is just incredibly crammed. There is no space to just hang out a little bit. There are always staff members lurking around you and even the inside of the shower cabin is full of their or the owner's stuff (sponges etc.). The bed in the 2-bed dorm is just a not very comfortable pull-out couch. For 5€ a night it's ok though. Not too sure how this got rated best hostel in Kazakstan. Located in a dark alley. Bad setup. Only 1 bathroom for 20 people. Not great.